Snacks, drinks, sweets, household essentials or 1,000 other products. Delivered to your door when you want it - within 90 minutes. Order from Beelivery and we notify the closest of thousands of drivers. 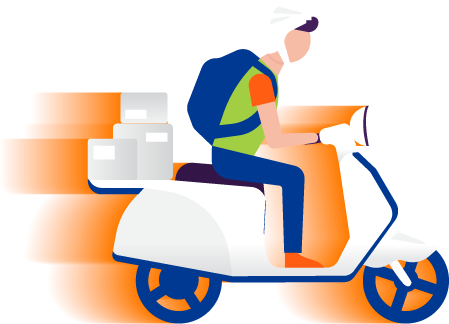 We crowd source a delivery driver that's available and nearby to become a personal shopper and delivery driver in one. Get what you want without leaving the comfort of your home. We Deliver Local delivers so much more than just fruit and veg. The local shops on this site stock a range of different products so you can have a supermarket style experience and get all your weekly groceries delivered to your door. wine, beer, pet food, vegetables, fruit, flowers, chocolate, cakes, fish, meat, bread, veg boxes, meat boxes, jam, cheeses, herbs & much more. We are continuing to expand throughout the UK. We aim to bring a local online grocery shopping service to every town, village and city. If you are a shop owner we would love for you to join the We Deliver Local community of shops.